Amsterdam's Schiphol airport, Europe's third busiest airport, decided recently to turn to using open source software to become more efficient and offer better service. Servicing more than 63.6 million passengers and processing more than 1.7 million tons of cargo last year, Amsterdam Airport Schiphol is Europe's third largest airport in terms of passenger number and cargo volume. With the help from open source solutions company, Red Hat, Amsterdam Airport Schiphol started to create a self-service, multi-cloud platform for its internal IT team and its business partners, slashing development time as it creates new services for travellers. The 100-year-old airport reviewed its IT services strategy and wanted a scalable application platform to accelerate the development and deployment of its new digital services across its hybrid environment. 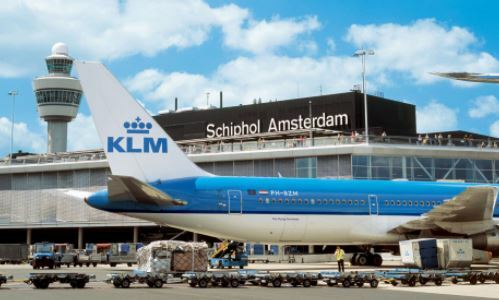 They required a cloud-agnostic, open platform that could not only enable application portability, offering Amsterdam Airport Schiphol greater flexibility and the ability to avoid lock-in on a cloud platform, and which could also integrate with partner services through APIs. After a detailed review of competitive solutions, Amsterdam Airport Schiphol chose Red Hat to support its new cloud-native applications and digital services based on open APIs. Amsterdam Airport Schiphol created a hybrid, multi-cloud development platform based on Red Hat OpenShift Container Platform deployed across Microsoft Azure, Amazon Web Services (AWS) and its on-premise virtualized environment. Also, Open APIs helped external developers to log into the Schiphol API platform and integrate their services, improving the user experience for both Schiphol customers and their own. As data can now be exchanged in real-time, the many other organizations in and around the airport can join in. TomTom, Which is a Dutch navigation company, for example, can gain real-time insights into departure times, delays and waiting times at security. It can use this information to set up a personalised travel plan for people that need to catch a plane. As TomTom keeps an eye on current local traffic conditions as well, it will send messages to the traveller like: “There’s a traffic jam on your route, leave now to catch your flight!”. Mechiel Aalbers, senior technical application coordinator, Amsterdam Airport Schiphol said "By using open source solutions we added more business value more quickly. We have shifted risk from our mission-critical systems to a solution which we believe is future-proof, and which we are planning to use in the coming years for our cloud strategy”.